Search & Reserve Online Search over 200,000 tyres and reserve with no deposit needed. Provide either your tyre size or vehicle registration on the right to begin. We have identified the tyre size(s) that may fit your . Please select your tyre size below before clicking 'Continue'. We endeavour to ensure we are displaying the correct tyres for your vehicle. However, we recommend all customers check the tyre size printed on the side wall of their tyres before proceeding with a tyre purchase as occasionally discrepancies do occur. By selecting the tyre sizes above and clicking 'Continue', you are indicating that you have checked your tyre sizes. 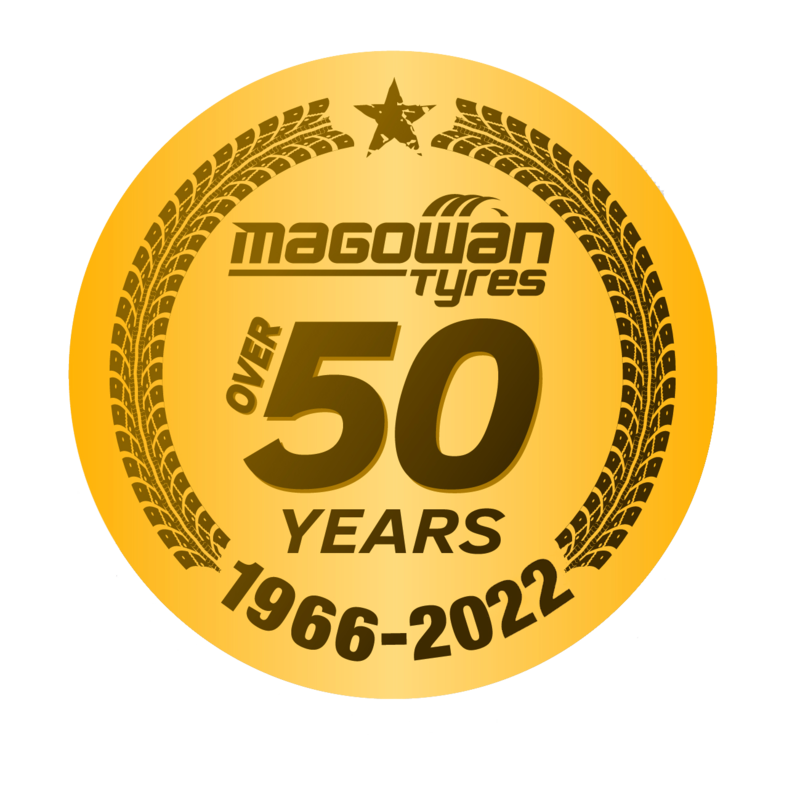 Here at Magowan Tyres we offer lots more than just tyre replacement. Run flat tyres are specially designed to keep working for a short while even after they suffer a puncture. Designed to support your vehicle even when they contain no..
TPMS is short for Tyre Pressure Monitoring Systems. It is a way of constantly monitoring the tyre pressure in each tyre and alerting the driver with a visual or audible..
A part worn tyre is defined as a tyre that has been used previously and removed from a vehicle. This tyre may have been punctured that someone else has deemed unsafe.. If you have suffered a puncture or your tyre is slowly losing pressure, our trained technicians can inspect the tyre to see if a repair will be suitable. No appointment is..
We know that not all customers (probably more women than men) feel comfortable about visiting a garage. Whether it be to have repairs done or basic tyre checks carried out and we would like to change that. On Wednesday 3rd April 2019 we are running a FREE evening to deliver a Basic Car Maintenance night for women. These nights have been a major success and this will no doubt fill up quick so if you want in make sure to reserve below before it books up. > How to check your tyre tread and tyre pressures. > Understanding the warning lights on the dash board. > Different types of tyre damage and how to avoid them. > Knowing where and how to top up fluid levels. > Learning how to safely change a spare wheel onto a car. There will be light refreshments and a goodie bag for all who attend. There will be no test, questions or embarrassing ice breakers just a fun, yet educational evening.